Home Africa	World Economy: Which Country Has Emerged As The World’s Biggest Rice Importer In 2019? World Economy: Which Country Has Emerged As The World’s Biggest Rice Importer In 2019? The country that stands as the world’s biggest rice importer consumes over 6.5 million tons of rice annually. Nigeria has been ranked has the world’s biggest rice importer. 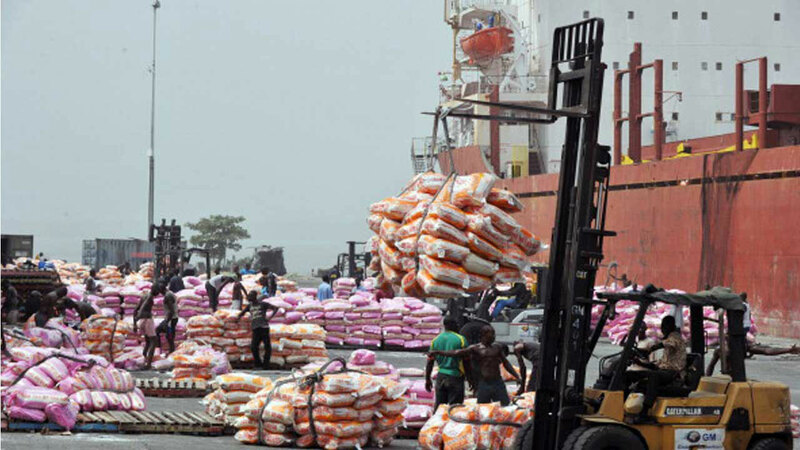 The high rate of rice importation in Nigeria is already a major concern in the economy which has surmounted to making Africa’s most populous country the biggest rice importer in the world, not just this year but in 2019. Nigeria’s rice import is expected to increase by 13 percent in 2019 to 3.4 million metric tons as recorded by the U.S. Department of Agriculture USDA. This is a major setback for the Nigerian government, which has been making plans to put an end to rice imports by the end of this year to save foreign currency. Meanwhile, it was recorded that the country’s rice production had increased more than 50 percent since 2012 to 3.7 million tons last year and domestic demand rose up by 4 percent to 6.7 million tons in the 2017/2018 year that ended in May. However, this record did not make much difference as the country still stands as the world’s biggest rice buyer, a position it has been projected to maintain in the upcoming year. The Nigerian economy is still recovering as Africa’s biggest oil producer from a major slump in 2016, after the crash in crude prices. Despite the current situation, Buhari administration still plans towards diversifying the economy away from hydrocarbons, with agriculture as one of its targeted sectors. However, rice farmers in Nigeria have reported a drop in output since last year due to a combination of higher input costs, insecurity and widespread flooding in the main growing regions, while the demand for rice is increasing due to less demand for traditional coarse grains. As recorded by the USDA, the Current global production still exceeds consumption by 2.3 million tons with 2018/2019 “global ending stocks” projected to hit 163 million tons, which is a 17.8 million tons increase from the previous record. Want to push your dreams in today’s great-people, good-nations, technology-driven, world? You must read Olatorera Oniru’s 2018 e-book titled Push Your Dreams available now on Olatorera.com and on Amazon.com.